Thunderstorms brought some localized hail events through parts of Southwestern Ontario, particularly during the last week of July. Like most plant stresses, yield loss from defoliation increases through vegetative stages, peaks around tassel or pollination, and declines through grain-fill. For example, using the defoliation table from OMAFRA Agronomy Guide – Pub 811, estimated yield loss from a hail storm with 50% defoliation would be 3% at the 8 leaf stage, 30% at tassel, and 15-20% during the milk stage. Opportunistic diseases that take advantage of plant wounds include bacterial wilts, smuts and stalk rots. Most modern grain corn hybrids generally have good resistance against smuts, and to date Goss’s Wilt has not been found in Ontario. Foliar fungicides do not protect against these diseases. From a harvesting perspective, defoliated plants may be more reliant on remobilization from stalks to help meet grain fill needs. This may weaken stalks and predispose fields to lodging or stalk rots. From a grain handling perspective, reduced photosynthetic capacity in hail damaged corn may drive earlier maturity but extend dry down, and may lower test weight. Hail wounds or bruising on stems or ears may also provide entry points for stalk rots or ear moulds, so hail damaged fields should be monitored more closely due to their elevated risks. The window for planting some cover crops is coming to a close. Cover crops that are frost sensitive can be planted up until six weeks before a killing frost is expected. After that point a winter cereal is the best option. Another great opportunity to plant cover crops is following corn silage harvest, as there is little cover left to protect the soil. Oats are an option for early silage otherwise use a winter cereal. When winter wheat as a crop is not an option after soybeans, consider seeding a winter cereal as a cover crop. The most common option is rye but any winter cereal will do such as wheat, barley or triticale. Broadcast up to 60 lbs/ac at 10% leaf drop or drill it in immediately following harvest. Before planting a cover crop it is important to think about how to terminate it. Some cover crops, like oats, are killed by frost. Others will survive the winter so they will need to be killed either in the fall or spring. Other termination options may include tillage, grazing or using a roller crimper. 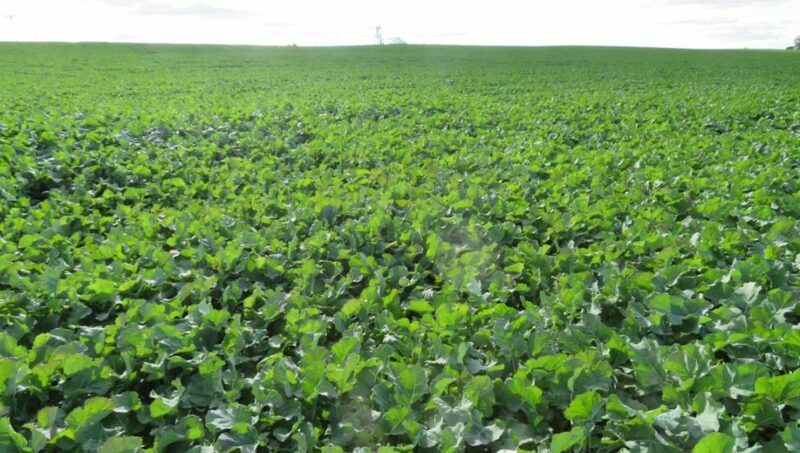 There is increasing interest in winter canola in the province and approximately 1000 acres are expected to be planted this fall. Producers are encouraged to consult the OMAFRA Guide to Weed Control – Publication 75 and review Table 2-2 Re-Cropping Interval (page 64) ahead of planting. 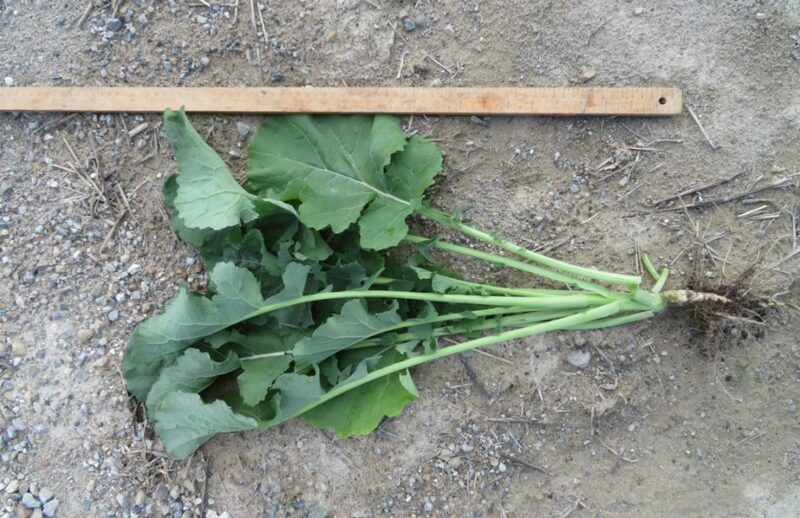 There are a number of herbicides that are injurious to canola that can be present in the soil for as long as 22 months, including Pursuit and Sencor. Note that winter canola and spring canola are the same species so the impact of herbicides is expected to be the same on both. Most winter canola varieties, including Mercedes now being marketed in Ontario, are not RoundUp Ready or Liberty Link so those products cannot be applied after crop emergence. Winter and spring canola production can be successful when planted or drilled in narrow (18 cm or 7”) rows, or 38 cm (15”) rows. Wider (76 cm or 30”) rows close slowly and may not be ideal in Ontario. Seed should be placed at a depth of 12 to 25 mm (1/2 to 1”). Broadcast seeding is not recommended. Accurate seeding depth will support fast, even emergence and better winter survival (Figure 1 & 2). Figures 1 and 2: A robust winter canola crop in October 2016. Future research to support winter canola production should include planting date by region and soil type, and refining fertility programs. 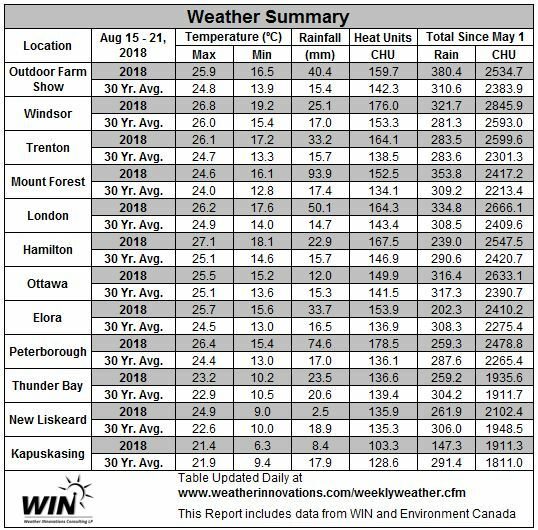 Limited trials in Southwestern Ontario have shown that planting in early or mid-September resulted in good winter survival. This may vary by region and soil type, and growers should note that heaving in early spring can be the cause of so-called winterkill. On soils that are prone to heaving, earlier planting may be advantageous. Winter canola needs a good root structure to survive winter, and does not survive on seed reserves as winter wheat does, so it should be planted earlier than winter wheat. Fall fertility should include 30 to 40 lbs nitrogen/ac and up to 10 lb sulfur/ac broadcast applied (they are toxic if seed placed), and can include up to 35 lb/ac MAP with the seed. An additional 100-150 lb nitrogen/ac and 10-20 lb sulfur/ac will be required in the spring.